Welcome to Vancouver Olympics Traveller Suite. 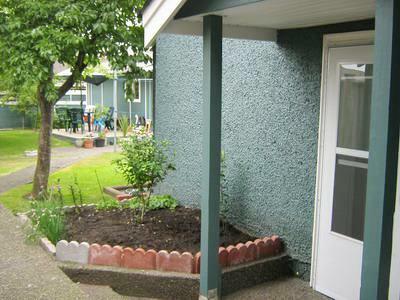 This cheerful green character house is a bed and breakfast located in Vancouver Westside. It's a prestigious and convenient location with Downtown Vancouver about a 10-15 minute of drive and Richmond Oval about 20-30 minutes. Supermarkets, restaurants, banks and entertainment are all within walking distance of 10 minutes. If you don't fee like driving, the house is close to four bus lines two buses go to downtown and two buses to UBC. 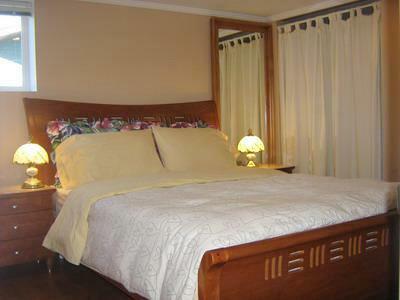 The house was extensively renovated in 2005 and 2007 to retain the original features of the house and to add comfort and amenities for B&B guests. When you rent this house, you'll get more than just a spacious nicely appointed house - you'll also receive the care of a professional B&B owner. The house will have everything your group needs and the owner will make sure you are well taken care as you'll be treated like B&B guests instead of renters. Located on the ground level of the house, the suite is a 475 square foot self-contained apartment with a private entrance and French doors that open to a backyard. There is an LCD TV and an electric fireplace. 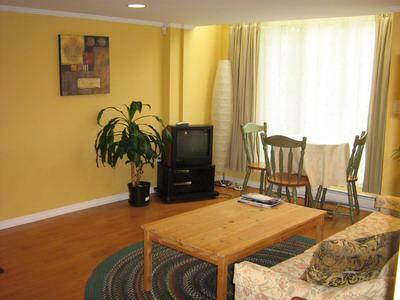 If your group is larger than 10 people, please see Vancouver Olympics Traveller House. 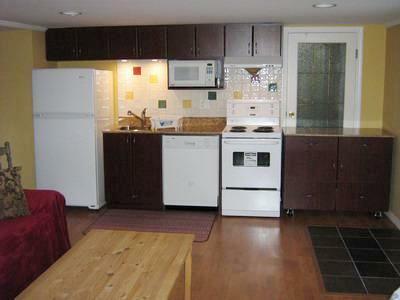 Together the house and the suite can accommodate up to 14 people. Sleeps 2 more on pullout coach in living room.